Recently I upgraded from Magento Community 1.4 to 1.5 to take advantage of the next import and export features released in 1.5. These updates are intended to finally fix the major pain point for many Magento users – it is not easy to import or export products and customers, especially on shared servers or machines with lower resource levels. I had a specific need to export all of my products, clean the catalog data and import back to Magento. Here are some things I have found so far. 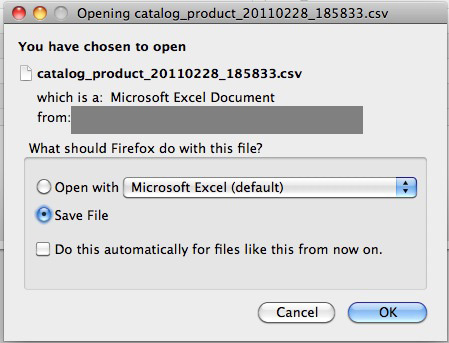 Once you select “Products” you have the option to restrict the products included in the .csv file. This is a much larger list of options than the previous version and nice to see. To run the job with the parameters you have specified click the “Continue” button in the lower right to create the file. Note: In my case I was trying to export 16,000+ products on a shared server with limited resources (my staging site) and ran into memory errors. To fix the issue I had to restrict the products exported by setting price ranges in the export and change the ranges until I had a small enough memory usage. Note: With my memory restriction I had to create a bunch of these files and manually add them all to a single excel file. Using this method I was able to export over 16,000 SKUs from a shared server environment in a little over 1 hour. The export job itself is very much improved from the previous versions and I am happy with the results so far. 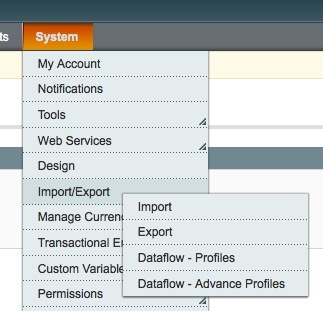 Configure complex products (grouped, configurable, etc) directly in the data file. I don’t know how many of my wish list items will work… off to begin testing.